14-day trial. All free. No credit card fuss. 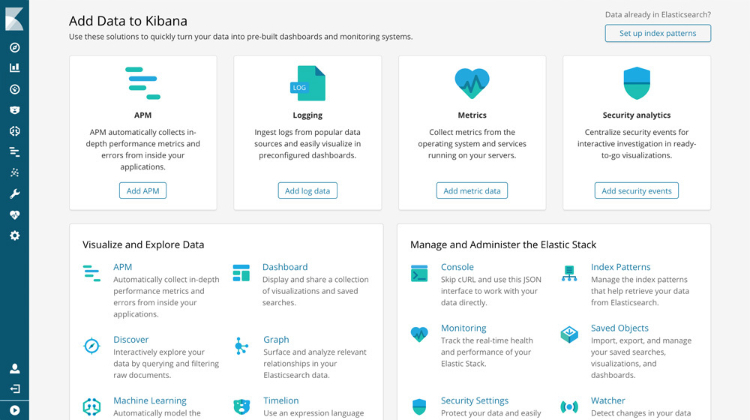 Why Choose the Elasticsearch Service on Elastic Cloud? It's the only hosted Elasticsearch and Kibana offering available on AWS and GCP that's powered by the creators of Elasticsearch. Never wait for the latest versions; deploy them the same day they're released. Plus, powerful Elastic features and ticket-based support are at your disposal. Automatically detect anomalies in your data with unsupervised machine learningin real time. TLS encryption, encryption at rest, role-based access control (RBAC), and field- and document-level security. It's all there. (Free) Create live pixel‑perfect infographic‑style presentations of your Elasticsearch data. (Free) Curated experiences for tailing log files and monitoring infra like containers, pods, and services. (Free) Define how long indices are kept on hot data nodes before automatically moving to warm nodes. (Free) Save on space (and costs) by summarizing data into coarser time buckets as it ages for metrics use cases. (Free) Feel more comfortable with SQL? No problem. Use the syntax you're familiar with to query Elasticsearch. (Free) Organize Kibana dashboards and visualizations into separate spaces, and secure access using RBAC. Get alerts and notifications about changes in your Elasticsearch data. Choose a cluster size. Cluster size can be changed later without downtime. Need a larger cluster? Contact us. All clusters use high-performance SSD storage. Choose your preferred cloud provider and region. Note: South America East does not support SSD. Protect your cluster with replication and automatic failover. Great for testing and development. $38.25/month with 15% annual discount. Operate confidently with world-class support plus advanced security, alerting, and monitoring features. Get a quote. From document- and field-level security to monitoring the status of nodes and clusters, X-Pack delivers powerful features (built and maintained by Elastic engineers) that readily extend what's possible with Elasticsearch and Kibana. Explore a few features right here. "I started using this service over three years ago when it was just a small startup called Found.no. In my experience, Elastic Cloud has been great for any situation–from small projects with tight deadlines like this one to scaling a large Elasticsearch cluster." Try it out. 14 days. No credit card required. Have a slow query? Speed things up with the Elasticsearch Search Profiler, a handy feature for diagnosing misbehaving queries that's only available through Elastic Cloud. Explore and interact with the Profile API's output with handy visualizations in Kibana.